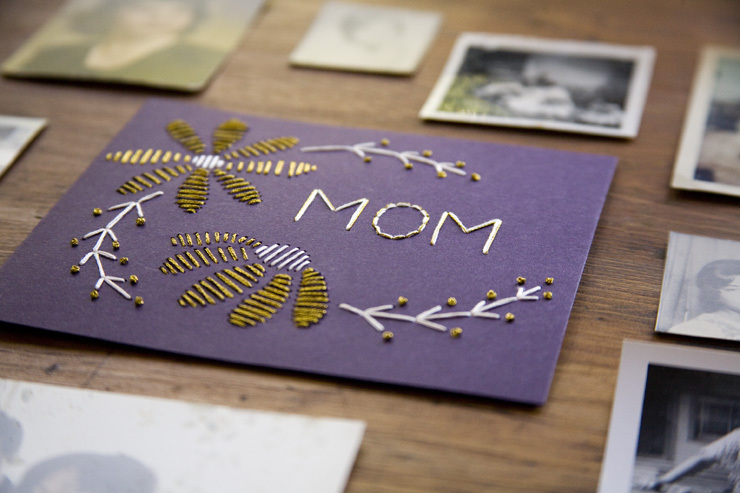 Need a last-minute Mother's Day card idea? Stitch one! 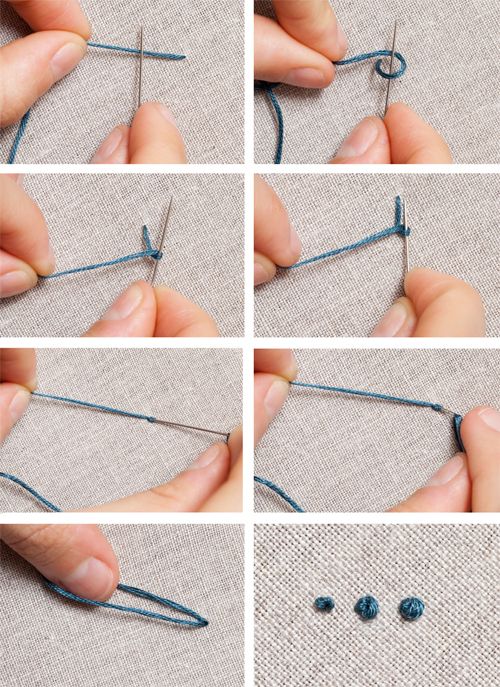 Chronicle Books has offered us this tutorial from Jessica Marquez, author of Stitched Gifts. 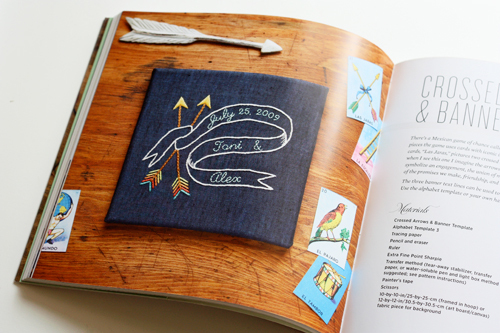 The book offers 25 simple embroidery projects for weddings, holidays, baby showers, anniversaries, or just because. Here's one for mums. Stitching this card should take 30-45 minutes according to the directions, so you don't even need to start until about 10:30 PM on Saturday night, right? Happy stitching! 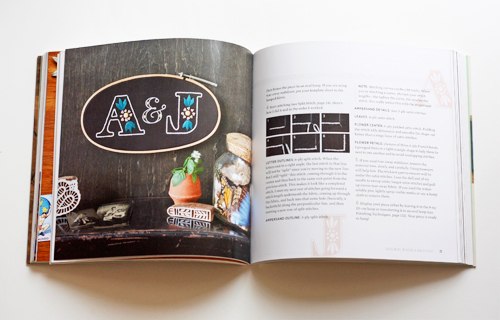 For more projects, get the book Stitched Gifts right here. Beautiful idea. Not sure I could pull it off, but it's really pretty and I love the idea! love the mother's day card. very nice. I love paper embroidery, and this card is lovely. That book looks fantastic too! Very, very wonderful and original! Thank you for the pattern. I love paper embroidery. This was a great idea, thank you for sharing! 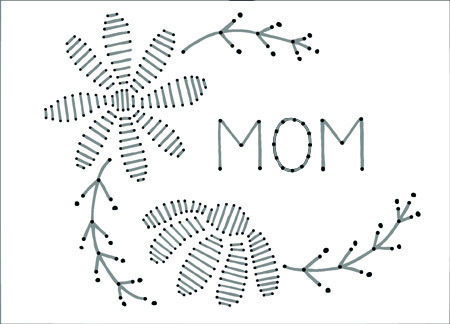 I stitched up a version of this for my mom Friday afternoon and she loved it, thanks again! I made this just last night and it came out beautifully. I'm hoping the homemade element will make my mom forget that she is getting it a few days late . . . .